My interest in fairies has always been heavily intertwined with my autism, long before I was diagnosed. My mother took me to get my hearing tested multiple times because my auditory processing was so poor, before concluding that I was “away with the fairies” when I should have been listening. But fairies and autism have gone hand in hand for far longer than I’ve been around to talk about either. And it’s an easy legacy to romanticise: we’re the dreamy-eyed changeling children, not meant for this world of iron and noise, but for a magical realm where we’ll finally fit. It’s a seductive line of thought, particularly if you’ve never really felt like you fit in in this world. It’s also an incredibly dangerous one. While it might be nice to call myself the child of another world where the rules that govern my life make sense to everyone, as a historian I can’t ignore the original purpose of changeling stories. On a historical level, these stories were originally created to dehumanise disabled or neurodivergent children – people like me – to the point where we could be killed with impunity. The earliest changeling story I’ve encountered in my research (though I would love to hear about others) is in a text called On Superstition (De Superstitione) by a 13th century French inquisitor called Étienne or Stephen of Bourbon, who was condemning the unorthodox religious practices of the peasants of Lyons. He mentions villagers leaving babies they thought were changelings left by the “fauns” naked and alone at a shrine in the woods, next to burning candles, or dunked in the nearby river multiple times. Martin Luther, in 16th century Germany, described changeling children as demonic illusions without souls, and recommended drowning them. 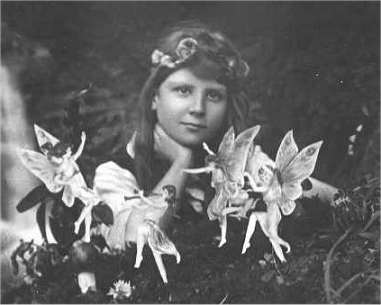 So, why am I beginning what will be probably an endless series of posts on fairies with some very horrible history? First, because changelings have been on my mind all year, but secondly, because my relationship with this topic is a thorny one. I have a lot of more positive things to say about fairies, but I don’t want this subject to be romanticised. I may be writing about the history of fairies, but this isn’t any kind of fairytale. Please do write a post on ABA. I’d appreciate it.